If you are interested in joining our partnership to extend the “green” opportunities available to builders, architects, designers, homeowners, craftsman, and hobbyists send us an email and we will be in touch! The best way to get in touch with us is to fill out the form on this page, or you can email us directly. 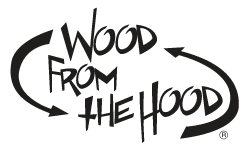 Be sure to include your project details (fill out the form and/or email us your sketches at info@woodfromthehood.com) and we will get back to you with detailed information and to schedule a consult. If you prefer to talk by phone feel free to leave us a message at (612) 581-0252. We will most likely be in the yard milling logs, working on projects or meeting with clients but we’d love to call you back to discuss your project or schedule an appointment. We do our best to return emails and calls within 2 business days Monday – Friday. To better serve you we work by appointment only.